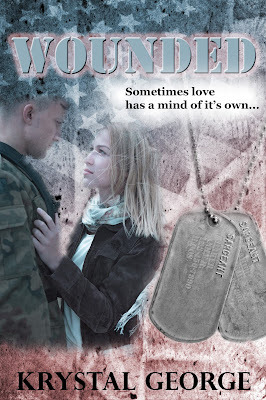 Blurb: Military life wasnât for her! After watching her mother suffer in silence her entire life, Emma Malone has vowed that she wonât make the same mistakes. However, living on a military installation makes avoiding soldiers next to impossible. So when Cole Baker walks into her life and plants his feet firmly inside of it, her whole world gets turned upside down and his smile blows her plans out the window! Sparks fly and romance ignites during a summer filled with love and acceptance, but Cole has a secret that could destroy the entire foundation of their trust and remind Emma why she took her vow in the first place. 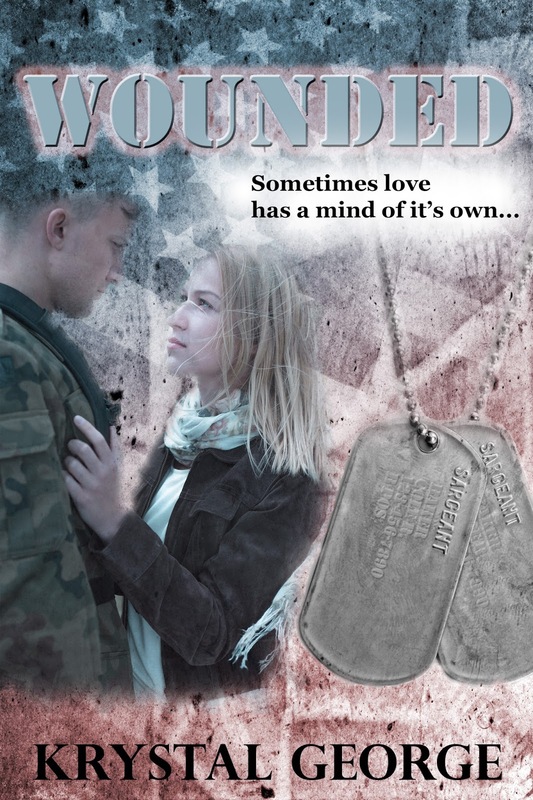 Follow both Emma and Cole along with a few of their friends on a journey of love, friendship, forgiveness, and goodbyes in a time of war and a situation beyond anyoneâs control. 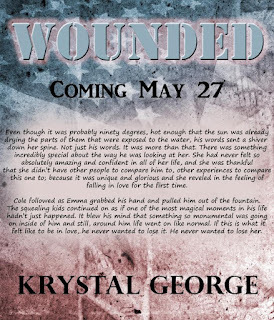 Krystal George is an Independent Author of both Young and New Adult fiction. 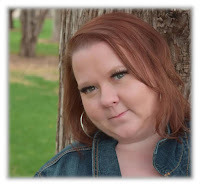 While most of her books have a paranormal or supernatural element, a few are planted firmly in reality. She has a passion for youth literature and believes that magic exists even in the most mundane places. 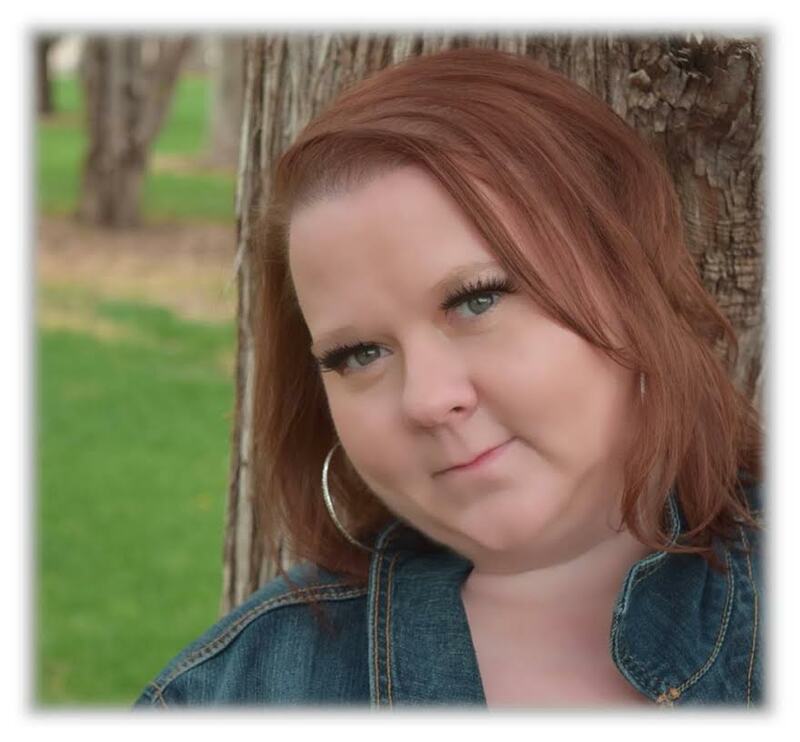 Krystal lives in Colorado with her four beautiful children and her amazing husband where she daydreams of the worlds she writes about and the characters she loves. By day she works with youth in her community with a non-profit organization that helps students develop various life skills. Keep a look out for the final book in The Enchanted Island Series and a few other gems that sheâs been hiding up her sleeves, coming later this year! Thank you so much!!! I'm so humbled and excited! 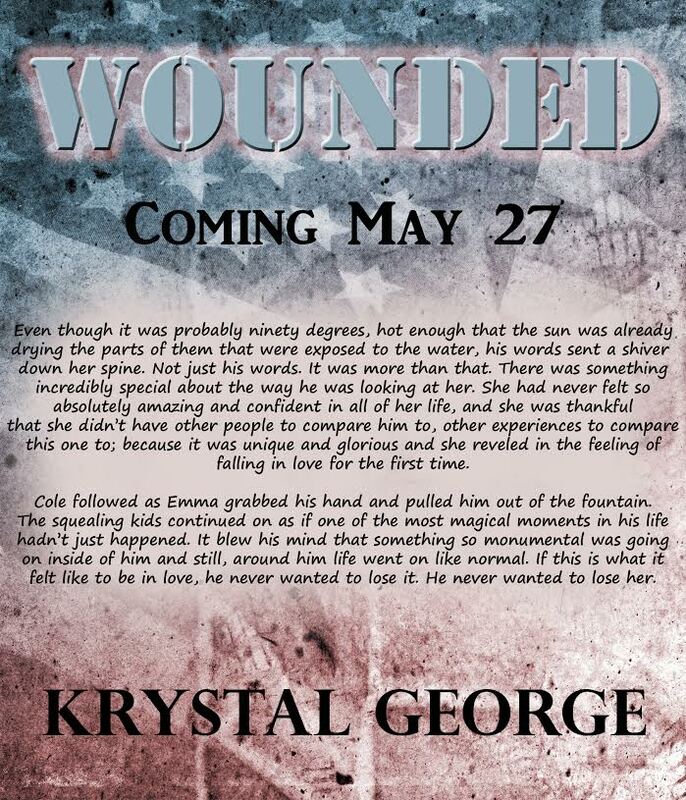 I appreciate all you've done to help me get word out about Wounded today!! You are so very welcome! Any way I can help please let me know. Have a wonderful day!